A few weeks back, I did a post about the need for good people to help you as you write your novel (or short story, etc.). And while it’s super important to have quality readers, some writer’s prefer a writers’ group. As with most things in life, a writers’ workshop group will have some advantages and some disadvantages. Here are a few things to consider when you think of joining or starting a group. If you’re already in a group, you may want to evaluate it based on these criteria. 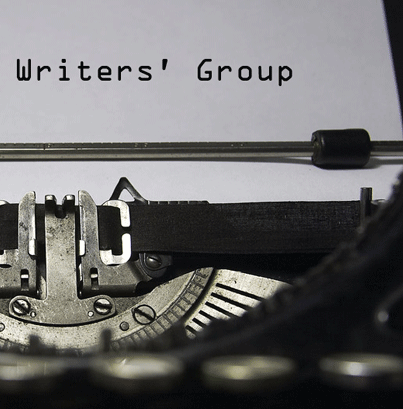 KEEP IT SMALL: Most writers’ groups function in such a way that everyone reads (and provides feedback for) everybody else’s story. If you’re in a large group, you’ll likely spend more time reading and editing than you will writing. KEEP IT REASONABLE: Make limits for yourselves. Agree to meet monthly (more than that might be too much to work into some people’s schedules). Also, set a maximum page amount. How much is up to you, but I’d recommend no more than twenty pages a month. That’s something most diligent readers can knock out in a day or so. KEEP IT LIKE MINDED: If you’re writing fantasy, you may want to hook up with a few fantasy writers. Writing romance? Find someone else who pens love-heavy novels. This is not to say that romance writers have no place in fantasy writers’ groups (just that they may try to encourage you to have the orc marry the elf, etc.). If you can start a group like this (or find one and join it), you’ll get some great feedback for your stuff. But if you hook up with a group that doesn’t follow these, be warned: you may not get the return on investment that you’re hoping for. Would love to hear from those of you in groups, starting groups, etc. How are your experiences? Another suggestion, once your writing group gets up and running, check out our guidelines and annotate some of the books that influenced your writing. Keep reading novels and let other writers know what you found there! Do it individually or as a group project where everyone reads the same book and annotates it before discussing. I still need to find a good writing group to join. It’s not that I’m lazy (though I am) or antisocial (though I’m that too), it’s just that many people seem to not be interested in writing these days. I’ve tried to start my own group, but every single time I have been the only one to make an attempt to be involved. But I shall not falter! I will rise again, and I will write again! None shall dismay me! i have never thought of joining a group. of anything really. hmmm well, i will still continue writing, and maybe share what I wrote with some friends and such…., but i guess it is not the same…..sigh anyways, yea…. random stories! I have never thought of joining an entire ensemble of writers, but I have always wanted to write a story with one other writer because I feel that two heads are better than one in most cases, and a blend of two personalities can be put into a story making it more relatable to the reader. Just like a song, oftentimes one person does the music and the other does the lyrics. I think that a writing with others might produce a great story because you might need the help of other as guide to help your thoughts come more alive then trying to figure it out for your self. I know many people think that they don’t care what others think but this might help out your writing when another writer is helping you bulid up your story. 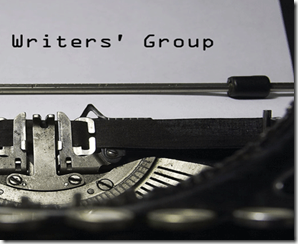 I think that having a writing group is a great idea. I don’t have many friends that like to write, so that’s an issue. However, having a writing group could benefit you and others in many ways. You can share ideas and also find inspiration from other people in the writing group. It not only will benefit you, but you will also have a lot of fun.